We’ll have food, drinks, and prizes for participants, with Kafka developers on hand to help you with any questions. Already interested? Register here. Want to know more? Read on below for more details. Kafka Connect is a tool for scalably and reliably streaming data between Apache Kafka and other data systems. It makes it simple to quickly define connectors that move large streaming datasets into and out of Kafka. Kafka Connect can ingest entire databases or collect metrics from all your application servers into Kafka topics, making the data available for stream processing with low latency. A sink connector can deliver data from Kafka topics into secondary indexes like Elasticsearch or into batch systems such as Hadoop for offline analysis. Kafka Connect abstracts away the common problems every connector to Kafka needs to solve: schema management, fault tolerance, partitioning, offset management and delivery semantics, operations, and monitoring. This allows connector developers to focus on the details specific to the system they are copying data from, while relying on Kafka Connect to solve the hard problems. Connect users can pick from a repository of open-source connectors without having to worry about interoperability as well as have a single system to manage, monitor, and deploy several connectors on. Kafka Streams is a library for building streaming applications, specifically applications that transform input Kafka topics into output Kafka topics. Kafka Streams has a very low barrier to entry, easy operationalization, and has a natural DSL for writing stream processing applications. It achieves this unique feature set by working directly with Kafka and leveraging the existing distributed, fault tolerant clients. By implementing stream processing as a library instead of a framework, it remains agnostic to resource management and configuration tools so it is easily adopted in any organization — write and deploy your stream processing applications like you would any other. And because it builds upon important concepts for stream processing such as properly distinguishing between event time and processing time, windowing support, and simple yet efficient management of application state, you get all the modern stream processing features you expect in a lightweight library. 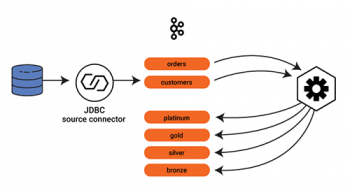 Graphite Source Connector – Make your metrics available at scale in real time. If your organization already standardizes on graphite for metrics, you can stream them into Kafka and make them available for complex alerting applications or to buffer them for delivery to batch storage systems for offline analysis. Real-time Alerting – Build a Kafka Streams application that consumes metrics or logs from Kafka, performs aggregations, and can trigger alerts on certain conditions (e.g. a metric’s 1 minute average exceeds a configurable threshold). Slack Source Connector – The hottest thing in chat since IRC. Connect to the Slack Real Time Message API to stream message contents into Kafka. Downstream applications could aggregate and analyze this data. Twitter Trending Topics – Using data imported by a Twitter connector, analyze and aggregate tweets to detect trending topics. This might be accomplished by computing popular topics over multiple time periods, then joining these data sets to find terms/hashtags that are significantly more popular recently (e.g. last hour vs last day). PagerDuty Sink Connector – Use the PagerDuty Event API to trigger alerts for your ops team directly from events generated in Kafka. This could be the final stage in an alerting system (which you might build with the Graphite connector described above). Get creative! Databases and message queues are obvious targets for connectors, but you can connect all sorts of systems, from loading Wikipedia edits into Kafka to creating JIRA tickets from messages in a Kafka topic. 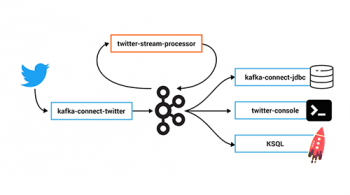 Kafka Streams applications could leverage and combine data from any set of available connectors. Still not sure what to build? During registration you can include systems you’re interested in and we’ll help connect you with other participants so you can work in a team to come up with and implement a project. 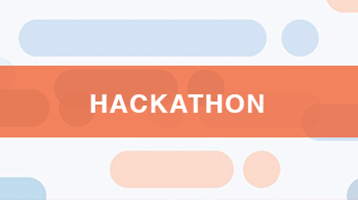 Entries will be judged by a panel of judges at the end of the hackathon based on creativity, features, and completeness. Prizes will only be awarded to entries that open source their code, making it available on a code sharing site like GitHub or Bitbucket and be willing to list it on the Kafka Connector Hub. Is attendance restricted to Kafka Summit attendees? No, this is a community event and anyone is welcome to register and participate. Do I need to already be familiar with Kafka Connect and Kafka Streams? No previous experience with Kafka Connect or Kafka Streams is required, but we encourage you to review some of the resources listed below to get some basic familiarity with the framework. This will let you focus on designing and writing your connector during the hackathon. Do I need to know what I’m going to build before I arrive? No, although it will help you get up and running more quickly if you come with a few ideas. We’ve provided some examples of possible projects in the “Project Ideas” section above to give you an idea of the types of systems you might want a connector for and applications you might build with Kafka Streams. Absolutely, and we encourage it! To help form teams, you can include projects you are interested in building with your registration. We’ll connect you with other participants with similar interests at the beginning of the event. Am I required to submit my code or open source it? You are not required to do either, but you must publish your code under an open source license to be eligible for the prizes. We recommend the Apache v2 License, but other popular open source licenses are acceptable. How complete are projects expected to be at the end of the hackathon? The hackathon is just one evening, but enough time to get a prototype up and running. 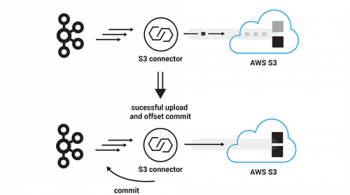 We hope this will motivate you to get started on a fully featured connector or Kafka Streams application, but the expectation is to only have a prototype by the end of the night. Will a skeleton be provided to help get started? Yes, a repository with a skeleton connector will be provided in the resources section before the event, and example applications for Kafka Streams can be found here. We encourage starting from a skeleton so you can make the most of the time during the hackathon. Who will be available to provide help with the Kafka Connect and Kafka Streams? Kafka committers, Kafka Connect and Kafka Streams developers, Confluent engineers, and community members will attend the event to help you go from design to implementation of your connector. Near the end of the hackathon we’ll ask you to give a brief overview of what you’ve built and provide us a link to the repository. No need for a fancy demo, just a quick summary. A small panel of judges will select the most outstanding project, based on creativity, features, and completeness. The Stream Data Hackathon is a free event, but all attendees must register. For more details and to complete your registration, please click here. Tech preview release of Confluent Platform, including an alpha version of Kafka that includes the Kafka Streams library.